In low-income communities across America, College Summit activates a dormant asset—the power of positive peer influence—by fielding teams of high school juniors and seniors who lead their peers to enroll in college equipped with the tools to succeed. These teams of students – Peer Leaders – boost college preparation and post-secondary enrollment across an entire high school by motivating all of their peers to realize their college and career aspirations. To date, College Summit has served over 250,000 students from 500 schools across the nation. Our unique peer-driven model has increased college enrollment rates in our partner schools by 20% over their baseline. 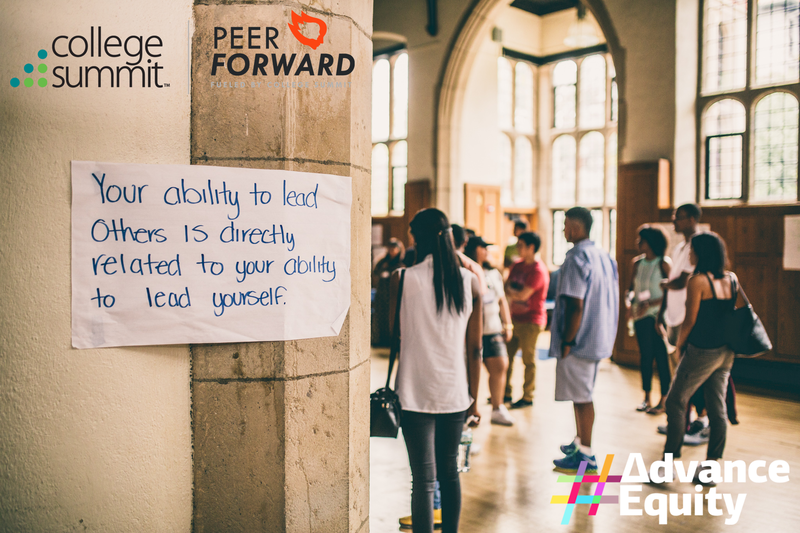 By scaling PeerForward, College Summit aims to reach 1.8 million students from 1,000 high schools over the next decade. Smith, Jonathan. "Can Applying to More Colleges Increase Enrollment Rates?" College Board Advocacy & Policy Center, October (2011). Bettinger, Eric P., et al. "The role of application assistance and information in college decisions: Results from the H&R block FAFSA experiment*." The Quarterly Journal of Economics 127.3 (2012): 1205-1242. Bedsworth, William, Susan Colby, and Joe Doctor. "Reclaiming the American Dream." Bridgespan Group (2006).